Monetize your business knowledge, become a networking ninja. See opportunity, share opportunity, become a networking ninja. Manage leads, referrals & rewards. Gain spotter fees from businesses. Make your networking count. Share business leads & earn rewards. Make your networking count. Scout for leads and monetize them here. Make your networking count. Be a lead scout, monetize your contacts and knowledge. Make your networking count. A quick way to monetize your networking efforts and business knowledge. Get Started >>	Share a quick lead & Why share? * paid on lead conversion, rating tools provided. Know of a public business need or an opportunity? Share it with us. We match it with suitable businesses and keep you updated. Incentives promised by a business gets paid on qualification and/or conversion of lead. Rate business at the end. Key reasons for a business to keep its promise? Key tips to locate quality business leads? Build a profile. Make it clear, credible and attractive. Engage and notify networkers giving leads. Follow lead, maintain discretion and convert. Reward networkers if lead is qualified and on success. Repeat cycle. How do we get qualified warm leads ? Subscribe below and we shall keep you informed of news that is relevant to networkers and businesses looking to grow. Our archetype networker comes across warm business opportunities/leads but has no incentive or interest to use it. Our archetype business has long sales cycles, does lots of cold calls, pitches a product/service at a specific customer, follows up and converts. We connect such networkers to businesses who provide attractive incentives to gain such leads. This allows networkers to monetize their business knowledge and for businesses to reduce their sales cycle, less cold calls and a successful business. FREE - for networkers, details here. Service is offered FREE for Not-for-Profit organisations. 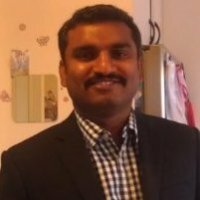 Shabu Thomas is a Melbourne based Technical Consultant who co-founded carrotleads alongwith his wife Lakshmi. Necessity being the mother of invention, he has added designer & hustler role to go with his earlier developer & hacker persona's. He is an Australian citizen of Indian origin and has been in Australia since 2001. Connect on linkedin. We are looking for passionate sales and tech people who can join us in this journey to free market knowledge. Lateral thinkers are encouraged to join us & guide our growth. Think "You can do what we cannot do", contact us, leave us a note. **We don't do SPAM, share our user data and that is a solemn promise. You will only hear from us when you have leads to accept or decline and system related notifications. Act as a finder, share business leads and earn rewards/commission or donate rewards to charity. Put every opportunity to use. Track, engage & manage leads by being part of carrotleads. Build your frontline sales prospecting team today. Engage, reward and grow using carrotleads. Let's look at an example ( video). Jane is a business coach who attends the occasional networking event. At an event, she comes across Tony who is looking to redevelop his company website and Andy who is looking to buy an investment property in Melbourne. She knows no one who she could refer for these leads and would have generally ignored such information. But she had recently heard about carrotleads.com hosting diverse set of companies who are willing to pay incentives aka carrots to get leads about people looking for their services. She asks Tony and Andy more details about their needs and requests business cards, so that she can ask someone who could satisfy their business needs to get in touch. She searches for companies on carrotleads.com that deal with "website's", shortlists one or more, creates a free account and shares the lead. She searches for "property" next and repeats the process to find another one. Companies receiving the lead cannot see the contact details and only the lead description. If they wish to follow the lead, they "accept" it to reveal the contact details. If not, they "decline" it. Jane the networker is notified in both instances. By default the identity of networker is anonymized and only stated as a verified user. Companies follow all accepted leads and if they convert it to business, mark the lead as "converted". If not, the lead is marked as "unrealised". Again Jane the networker is notified in both instances. In addition a company may message Jane to clarify lead related information. If lead was converted, Jane and company can exchange details on how the incentives will be paid out. Jane can rate and review a company at the end to inform the carrotleads networker community about a company's credibility. The carrotleads platform receives no commision from incentives and companies pay monthly subscription. Jane has access to an analytics dashboard that lists for each company the leads she has given them in their various states. She can update the domains she is interested in and be informed when new companies related to those domains sign up. Over a period of time, Jane has a shortlist of diverse companies she actively scouts leads for and is also looking to add to the list. She can now monetize business knowledge, be financially secure and help quality companies grow. To learn more, click here and a brief video link is here. Let's look at an example . Know of a business need? Share a quick lead! Error on submission, please retry!!! Use associated link to check status and claim lead. Working on auto-linking the lead you gave to an account you create here. Stay tuned!!! Track your lead's progress, engage & manage leads on carrotleads. An example. Invalid email!!! invalid email, pls correct it!! !